Meanwhile, Georgia introduces legislation allowing for rooftop solar leasing. Both efforts have bipartisan support. An alliance of conservative business groups, environmentalists and the solar industry rallied today in support of a 2016 ballot initiative in Florida that would allow property owners to generate solar electricity and sell it directly to other consumers. Currently, Florida law only allows utilities to sell electricity to consumers. The new measures would remove that restriction, giving homeowners and business owners the ability to produce and sell up to 2 megawatts of solar power. The campaign, spearheaded by the group Conservatives for Energy Freedom, has attracted a broad range of supporters, including the Florida Retail Federation, the Christian Coalition, the Florida Alliance for Renewable Energy, and the Florida Solar Energy Industries Association (FlaSEIA). The Republican Liberty Caucus of Florida and the Libertarian Party of Florida also support the initiative. Democrats and environmentalists, who have long backed the right for consumers to install solar panels as a way to reduce fossil fuel consumption, are behind the measure as well. The coalition has united under the name Floridians for Solar Choice. It now needs to gather 700,000 signatures by February 2016 in order to get the ballot initiative approved in time for the November 2016 election. “When this passes, the free market will take hold, people’s ability to participate in the free market will take hold, and you will see utility bills for people who install solar come down. Solar will get cheaper, and manufacturing jobs will get created,” said Tory Perfetti, chair of Floridians for Solar Choice and Florida director of Conservatives for Energy Freedom, in an interview. 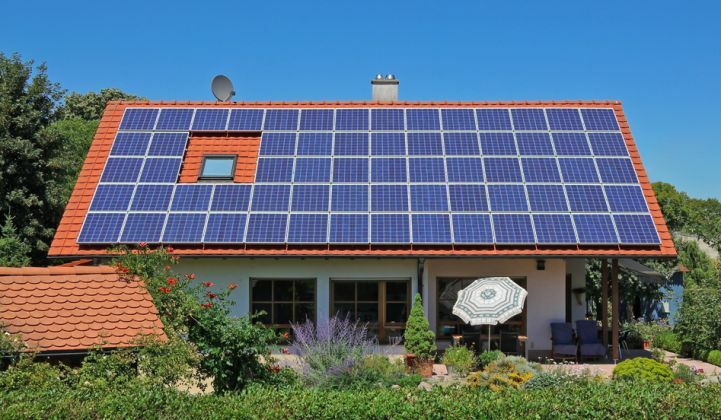 In addition to the ballot initiative, Conservatives for Energy Freedom, founded by tea party leader Debbie Dooley, is fighting legislatively to remove a personal tangible property tax on Florida residents who install solar on their homes. According to Perfetti, the tax amounts to roughly 2 to 2.5 cents per kilowatt-hour. 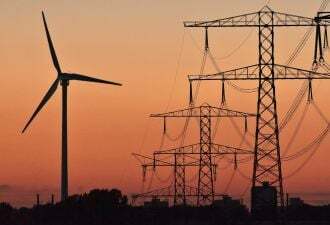 According to the Department of Energy, twenty-four states allow for third-party financing agreements, and several others do not directly outlaw the agreements. Florida is one of only five states where laws expressly prohibit residents and businesses from buying solar directly from anyone other than the electric utility, including North Carolina, Oklahoma, Kentucky and Georgia. Solar proponents in Georgia are now taking action, as well. In Georgia, State Rep. Mike Dudgeon (R) drafted legislation this week that would allow property owners to contract with third-party financiers to mitigate the upfront costs of going solar. The bill, to be formally introduced later this week, has already received bipartisan backing from Republican and Democrat legislators, as well as support from a broad-based coalition of conservative and environmental groups. Customer-owned solar requires a steep initial investment, often upwards of $18,000. The newly proposed legislation will allow for leases and other financing tools “that will allow solar providers to lower their costs, spur job creation, promote energy independence and consumer choice,” said Craig Briscoe, executive director of the free-market advocacy group Georgians for Solar Freedom. Language in the bill stems from ten months of negotiations between electric utilities and solar advocates, and it includes strict limitations that ultimately won the support of Georgia Power and other state utilities. Under the proposed legislation, individual property owners are only allowed to generate 10 kilowatts of solar electricity. Commercial and industrial solar customers are restricted to producing no more than 125 percent of their expected demand. And any excess electricity property owners generate must be sold back to the grid. Georgia is one of the fastest-growing solar markets in the nation, with more than 150 solar companies employing 2,600 people in the state. In 2013, tea party members and environmental groups successfully lobbied to increase Georgia Power’s solar target by an additional 525 megawatts. Today, Georgia boasts some of the lowest solar costs in the country, with utility-scale solar bids coming in as low as 6.5 cents per kilowatt-hour. The past two years have seen the Southeast transform into a robust solar market, according to Cory Honeyman, solar analyst for GTM Research. In addition to Georgia, North Carolina has seen seen rapid solar growth, although most from utility-scale projects. South Carolina recently passed legislation allowing for third-party ownership and net metering, which has received broad support and is expected to pave the way for a sustainable solar market. If pro-solar groups are successful in the Southeast, it will create huge opportunities for national installers. Today’s five leading markets for distributed generation -- California, New Jersey, New York, Massachusetts and Arizona -- were built on third-party ownership and the availability of net metering. GTM Research has noted that 2014 was likely the peak year for third-party ownership. But the decline will be gradual, with third-party-owned systems still making up more than 60 percent of residential solar through 2018.